Here in Sitka, life revolves around fishing. At Kingfisher Charters & Lodge, we consider it a privilege to provide our guests with some of the best fishing they will likely ever experience. When the day's fishing is done, we want you to enjoy the pristine tranquility and incredible views surrounding Sitka, while immersing yourself in the creature comforts of our lodge. The lodge was built with your comfort in mind and because it's only a short drive from downtown, the entire Sitka area is easily accessible. Sitka is known as "The Paris of the Pacific," and most people who visit us on Baranof Island consider our home to be Southeast Alaska's crown jewel. The dramatic vistas are home to countless Alaskan flora and fauna, and we consider our lodge to be an extension of that natural beauty. "Whether it's a trip with the family or with the guys, Sitka's fishing and Kingfisher's staff create those long-lasting memories that keep you coming back." When you arrive back at the lodge from a successful fishing excursion, you can enjoy a hot shower or bath before kicking back and watching your big screen television on a comfortable recliner or sofa. 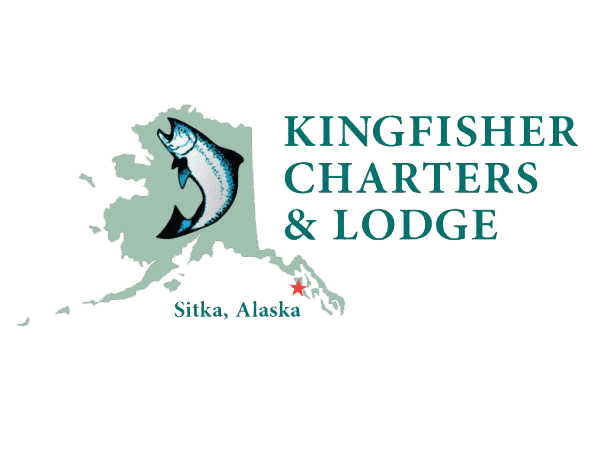 Our Alaska fishing lodge also provides guests with modern conveniences including two hot tubs, telephones, free wireless internet, free laundry facilities in each building, and refrigerators. The entire staff at our fishing lodge is ready to make your stay as rewarding and comfortable as possible. From lodge management to our lodge employees, everyone at the lodge is here to ensure that you have prompt and cheerful service, and will go out of their way to exceed your expectations. If you have special dietary needs, need a ride into town, or have some other special request, we will go out of our way to fulfill your needs. All you have to do is ask. No Alaska fishing vacation is complete without good food. When you travel all the way to Alaska, you expect to eat some of the freshest and most delicious seafood you've ever tasted, and we take a great deal of pride in our meals and food service. We start each day of fishing with a hearty breakfast that will give you energy to reel in the big one. While on the boat we provide you with sandwiches made on delicious fresh, homemade bread, while keeping a supply of drinks and snacks on hand. Gourmet appetizers are brought to your room when we return from the day's fishing trip, so that you can whet your appetite for dinner. Dinners are a specialty, and feature homemade soups and salads, entrees that include locally caught crab, halibut, salmon, prawns, and even mouth-watering tender prime rib, just to name a few. Whether you are planning an Alaska fishing trip with your buddies, family, or as a corporate retreat, we will do everything it takes to ensure you have the time of your life. Call us today and start planning your trip and see why our fishing lodge has earned its stellar reputation.